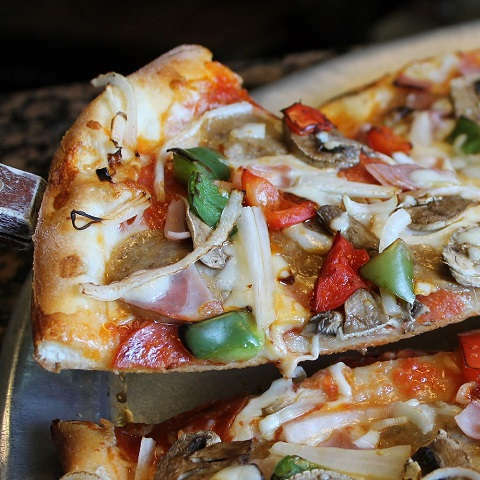 Deluxe Pizza is one of our most popular food. It comes with pepperoni, sausage, mushrooms, red onions and green peppers. There are three variant size – medium, large & extra large. And you can add extra toppings from the menu.